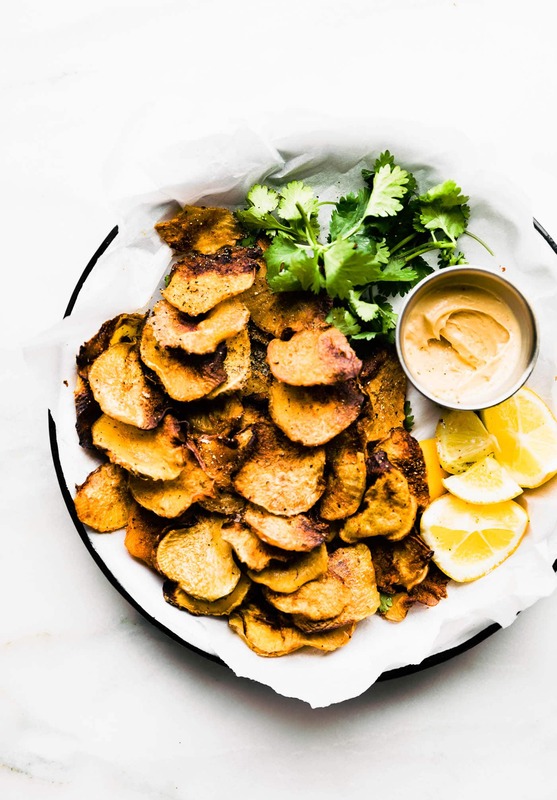 BBQ Baked Rutabaga Chips are a healthy and flavorful gluten free side dish, appetizer, or snack! 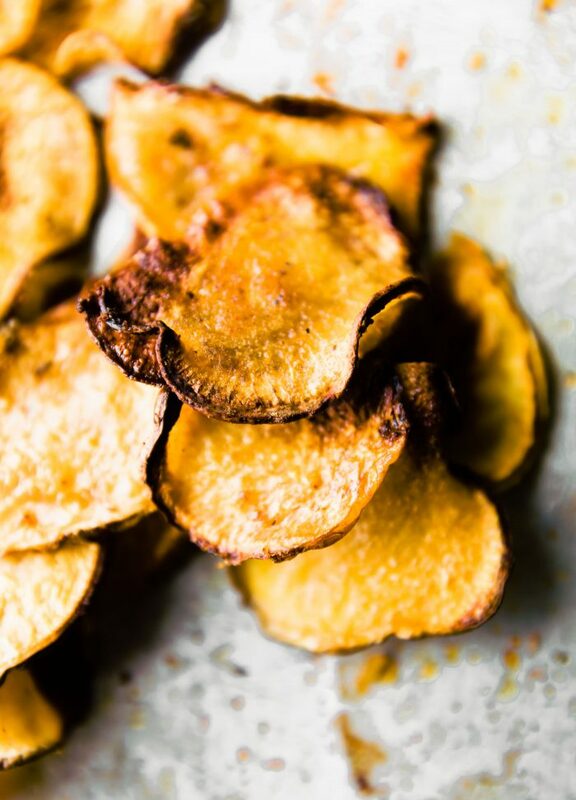 Rutabaga is a root vegetable that’s easy to bake and cook with, so making the baked chips recipe is easy, too! Super tasty, budget friendly, kid friendly, and naturally paleo and vegan. EAT UP! Oh the rutabaga. I feel like this little cruciferous vegetable gets a bad rap. I mean, It’s kind of hideous. It’s the step sister the turnip, just a littler rougher around the edges. True story, rutabagas are said to be a cross between cabbage and turnips but a tad sweeter and lower in water content. Yes I just went there. Nerded out on this vegetable. And I’ll get more into that in a minute. 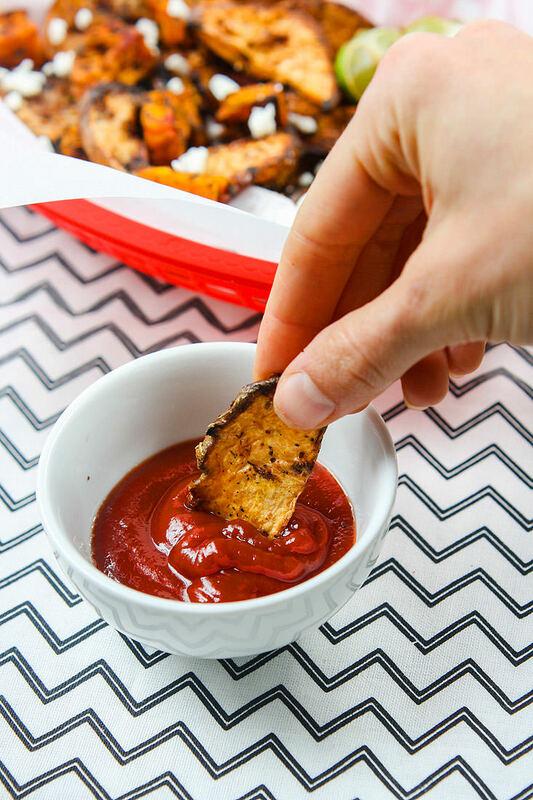 Just letting you know this BBQ Baked Rutabaga Chips recipe was originally published in Spring 2015. I retested, rephotographed, updated content and URL. Now I am republishing it for you today. A Cotter Crunch oldie but goodie is now easier to make and better tasting! Thank you for supporting Y’all!. You see, the Kiwi (a.k.a. the husband) is not a huge fan of squash or Sweet potato. Gasp! I know. I, on the other hand, am quite obsessed. It’s my starchy veggie of choice. Spiralized and all! Starchy root vegetables are also great for fuel and healthy resistant starch. That being said, I needed to find another “HEALTHY SWAP” that we could both like but with similar nutrient density. Regular potatoes, sure, those are tasty and perfect glycogen food for the muscles, but when it comes down to taste and vitamin rich components, we needed a better veg. And then I realized that rutabaga might just be that runner up, or even better, a winner! Here’s more of rutabaga nerding out part. You’re welcome. Rutabaga may be white in color (like potato) but it is quite deliciously sweet and nutritious. It is EXTREMELY versatile to use, and like Cinderella at midnight, give it a sparkly slipper and it will be the beauty of the ball. Oh goodness, somebody please stop me with the analogies! In all seriousness, Rutabaga is the unsung veggie hero of cold weather temps. 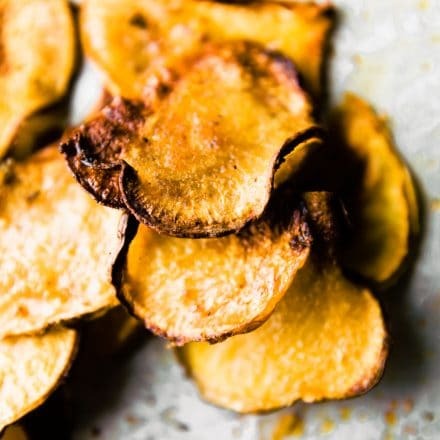 A healthy lower carb swap for baked potato chips (ahem, baked rutabaga veggie chips), for baked or roasted potato recipes, mashed potatoes, and more! Rutabagas are also budget friendly., healthy, and usually found in the grocery store year round. WINNER! Now I know taste is important, but so is its value, nutrition wise. Let’s dig a little deeper, shall we? Why you need to get your hands on a rutabaga. Good source of plant based iron. Remember, when you have a food that is high in Vitamin C, it can help enhance it’s Iron (non heme) absorption. 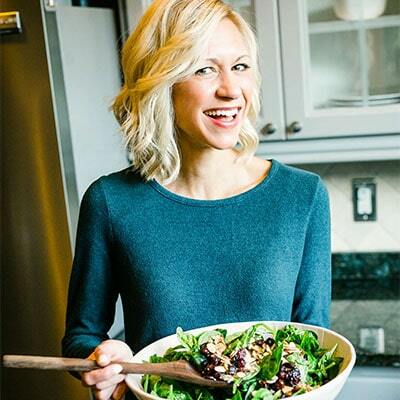 If you check out my Iron Rich meal plan, it goes into detail about that information. It’s a great low carb alternative, as mentioned above. 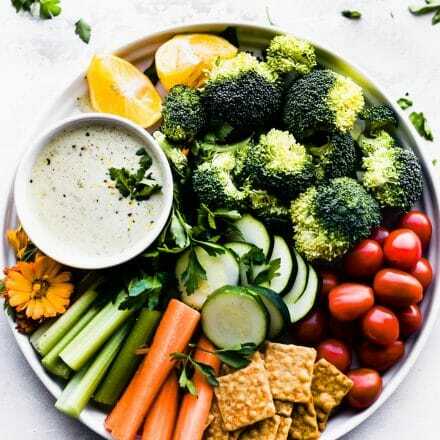 A light snack veggie chip or bake crisp . Heck, you can even make veggie fries! Excellent source of potassium, magnesium, calcium, and manganese. All super duper important minerals for ENERGY production in the body and your bones. See, I told you. It’s A WINNER! And if you are easily entertained, like me, then check out the world’s largest rutabaga ever grown here. That’s a lot of Vitamin C people! Anyways, back to my story. Since the kiwi does not prefer sweet potatoes, I was determined to get him like rutabagas, for the sake of my nutrition nerd sanity. I put on my magic cooking hat and went to work in the kitchen. Just me and a few rutabagas. 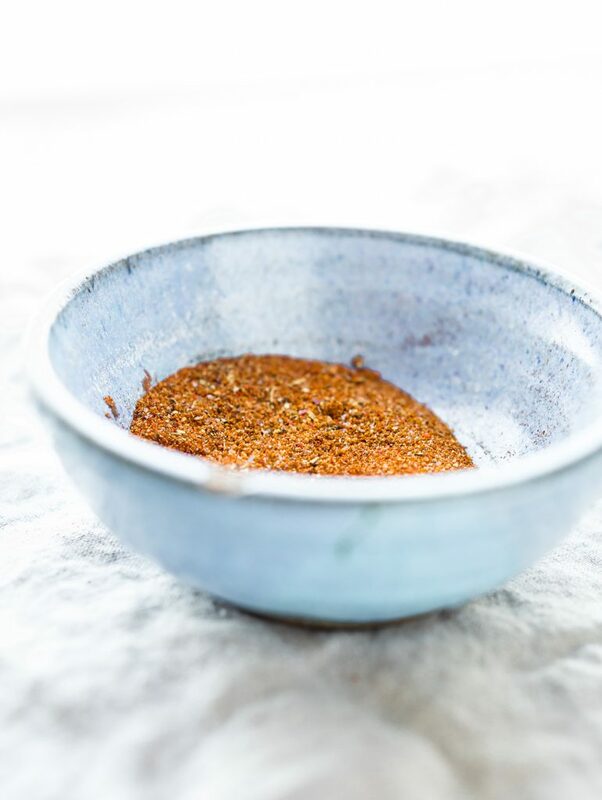 Well what’d ya know, just a little slicing, dicing, and BBQ seasoning and you’ve got yourself… drum roll please…. 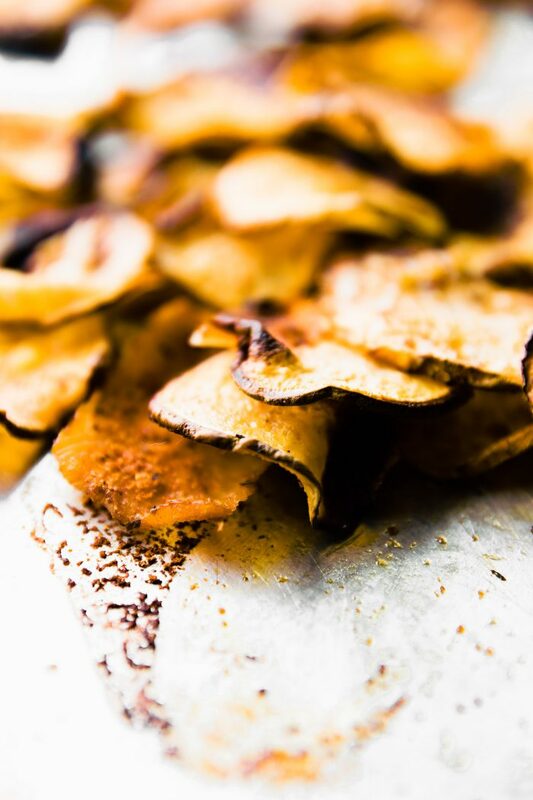 Baked rutabaga chips that look like sweet potato chips and taste even better. Rutabagas are now welcomed with open arms in the Cotter household. . Which is a good thing because delicious recipes are more fun when you can share them with your loved ones, well sometimes share! Next up, I’m gonna try to make a rutabaga mash or rutabaga rice. 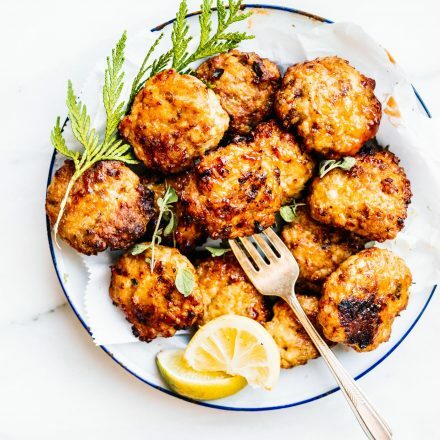 Ohhh watch our cauliflower, rutabaga is upping it’s game! Haha, cheers to Meatless Monday ya’ll! Favorite root vegetable? 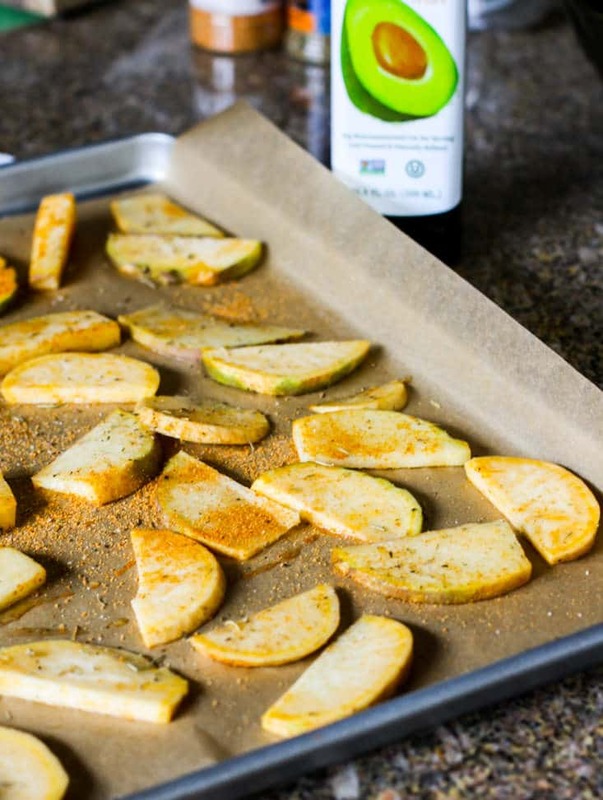 Have you tried baked rutabaga yet? DO IT! 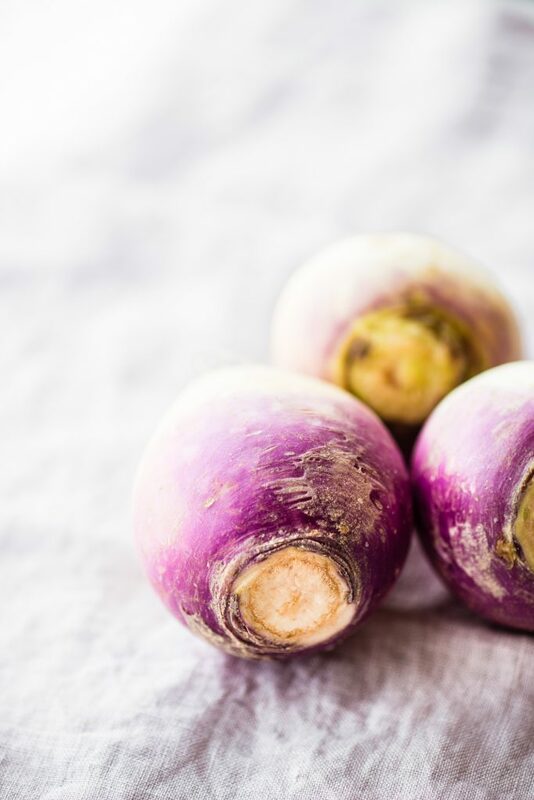 Going to buy rutabaga when i go shopping today because I never give it a fair chance, and this recipe looks seriously delicious! pretty sure you are going to be hooked like me! add this to your hash! IT ROCKS! Yummy Lindsay! I had a rutabaga a few weeks ago, but didnt think to use it for this, how clever! 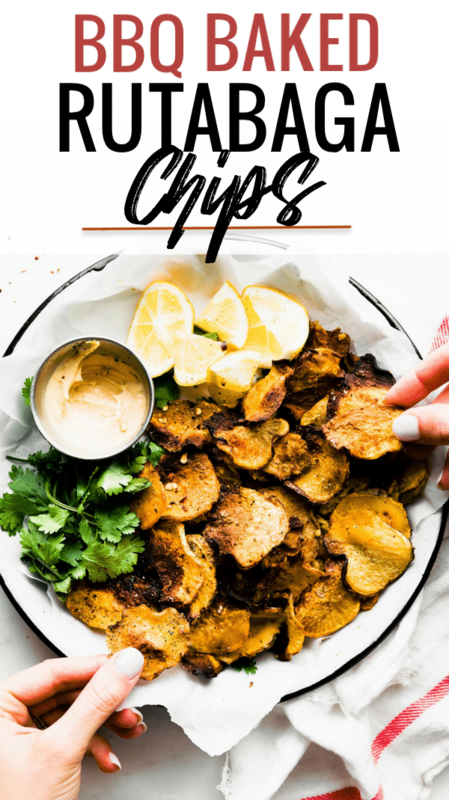 I wonder what other veggies can be used for chips…..hmmmm that might be a project 🙂 Have a wonderful Monday friend….hoping this links up to our meatless monday! Rutabegga is def on my list of veggies to try…I honestly can’t believe I HAVEN’T tried it yet! Rutabaga, it’s one of my favs! I adore roasting it, but also love eating it raw. ohhh I’m intrigued! 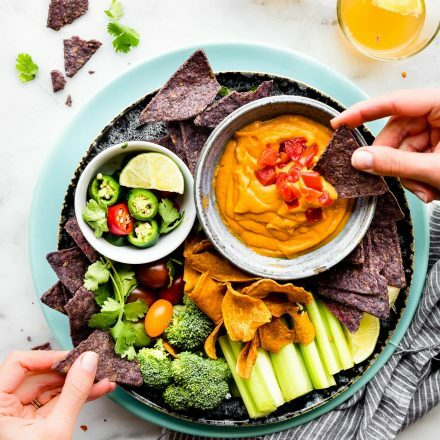 must try raw… with hummus? Ya, I cut it up as I would carrots…super crunchy, earthly and sweet, I love it. I slice it and eat it raw also. Sweet and delicious! Oh i like them like that too! So underrated, for sure! Wow, just wow. I’ve had rutabagas before, but never like this! What an awesome side dish for burgers too! mmm now i want a burger! haha. veggie and cheese for YOU! I’ve actually tried rutabaga chips before and they were amazing and anything BBQ is quite delish! BBQ men will love with their grill meat! YES! Rutabaga chips?!!!! I don’t think I’ve ever tried rutabaga.. When I do, it should probably be in chip form. chips or fries for the win! oh cris, i can’t believe you haven’t! it’s scrumptious! HOLY COW this looks incredible! I must admit that I’ve always been a little intimidated by rutabaga, but you’ve definitely convinced me to give it a shot! i’m pretty sure you’re gonna be hooked leah! for reals! chips and dip! You had me at BBQ! I don’t know what got into me this past weekend but I couldn’t get enough BBQ sauce and was putting lots of it on almost anything I could and than made the mistake of looking at the nutrition label when helping my parents clean up from the reunion. you and me both! its crack! i licked my fingers after —> it’s so good, yes. Yum! This would be awesome with eggs. I haven’t seen these at Sprouts. I’ll have to keep my eye out. PS he doesn’t like sweet potato? OMG!!! I looooove rutabaga!!! Vegas will eat anything I call a fry. Haha! Actually, I once did a rutabaga Hassleback-style and the was tasty too. Why don’t I cook with them more?! Um yum! This looks amazing! BTW- I didn’t make the blondies yet because when I went to make them on Friday, I was out of coconut sugar! ok wow you really sold me! I’ve never cooked with a rutabaga. These look fabulous. Thanks so much for linking up today! I’m about to fire up the grill right now to make these! OMG these look so good! I never knew Vitamin C helped Iron absorption. As I was (maybe still am?) iron deficient, that’s good to know! Ok so I’ll confess.. I’ve never eaten rutabaga! But these look too good, I need to try! they would pair nicely with your plantains. 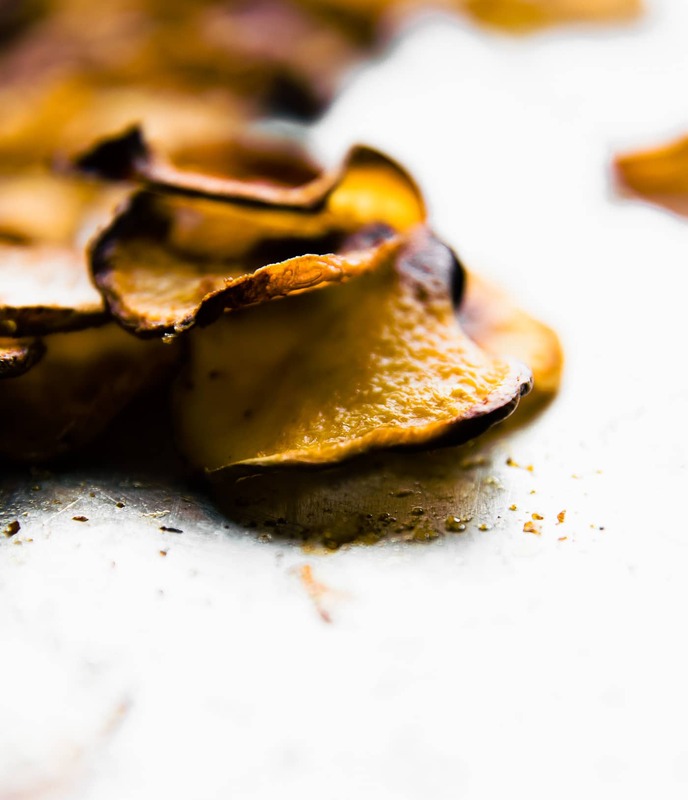 Um, two things – I love BBQ chips and now I need to get myself some rutabagas! Pinned for later 🙂 Thanks for the recipe! Cauliflower is sitting in a corner crying right now ;). Really, though, wow. That’s a great new way to prepare the often overlooked rutabaga. I’ve only had it mashed so far and while okay wasn’t too impressed by it. But chips? And BBQ-flavour – a taste that isn’t found too often over here, much less in vegan dishes? Yes, please. haha well cauliflower has been in the spotlight enough, he can sit in the corner and give brother rutabaga a chance! LOL! right? I think I’ve tried every other cruciferous vegetable other than rutabagas – that will just have to change! These are going to make it onto the dinner menu this week. Adding rutabaga to the list right now. 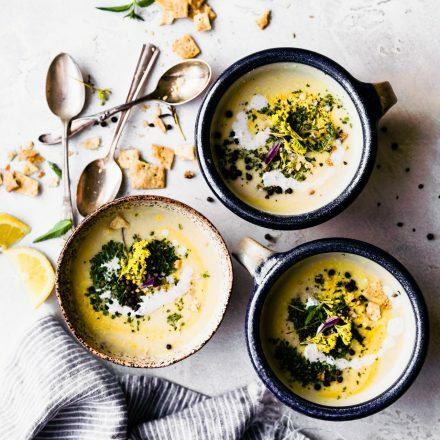 So simple and so flavorful! hoooray! let me know whatcha think laura! Well of course I love “ugly” veggies and I love my root veggie fries! BBQ beet fries? Yes! So Rutabaga would be BANGIN’ too! I can’t honestly say that I’ve ever tried rutabaga before, but I want THESE to be my first experience with it. Preferably with lots and lots of ketchup, because… hello… #addicted. Woah! I want to reach out and grab one of those chips. The photos! Stunning! grab one or just come over! Those look amazing & TJ’s has a seasonal BBQ spice blend exactly like yours so I would not have to even buy that! My dad used to put rutabaga & turnip in a stew he made us as a kind. I was fine with it in there with all the seasoning & it was so tender & better as leftovers! I love leftovers!!! i think i would have liked your dad! Can you believe I have never had rutabaga? Can you also believe that Mr. Nut Butter also prefers white potatoes and rice over sweet potatoes and squash? And now I must try this for us! well we can have a squash and sweet potato fest some day with nuttzo!!! ok? I always love seeing vegetables to discover. Things I never gave a chance like yucca and turnips have become serious favorites. Thanks for this recipe! I LOVE roasted root veggies! Although I tend to make them more often in the cooler months. However I may have to pick some up next week and roast up a batch. Yum! Yes! Or you can do on the grill! I don’t think I’ve ever had rutabaga. And who knew they were so nutritious??? Well, you did obviously 😉 Thanks for sharing. Now I’ll have to add them to my list!! Ok I pass by rutabaga in the store way to often, now that I know they aren’t that hard to work with, I’m picking one up. You had to make chips out of them. Now I want (healthy) chips, and it’s 9 am lol! Great stuff, Lindsay! I know I have some sort of fall recipe (probably soup?) where I use rutabagas, but I can’t remember what it is! I think i have made them mashed before, too. Anyhow, looking forward to trying this too! I tried mash too! Pretty good! But since its summer I had that BBq craving! Pretty sure you’d love these too! My spouse wants me to turn any and all rutabagas into pasties . . . um, not that type of pasty. He’s from the Upper Peninsula of Michigan–that kind of pasty. I love the idea, though, and will try this with some of the many turnips that keep finding our way into the farm share. I have never tried rutabagas before, but chip form seems the right way to go!!! Ahhh! I love this idea. Rhutabag’s never get enough attention, but man you are pulling out all the stops to help team rhutabaga! These look super delicious! I’ve never had rutabaga before, and haven’t seen it in the grocery store (but that’s probably because I didn’t look for it haha). Those chips look soooo yummy! Mmm I love fiber and trying new veggies. I’ll have to grab this one next time I’m at the market! Hubby actually planted some in the garden this year because he likes rutabaga in soups. I’m definitely going to try them for chips, too! Hmmmm. Never tried a rutabaga. 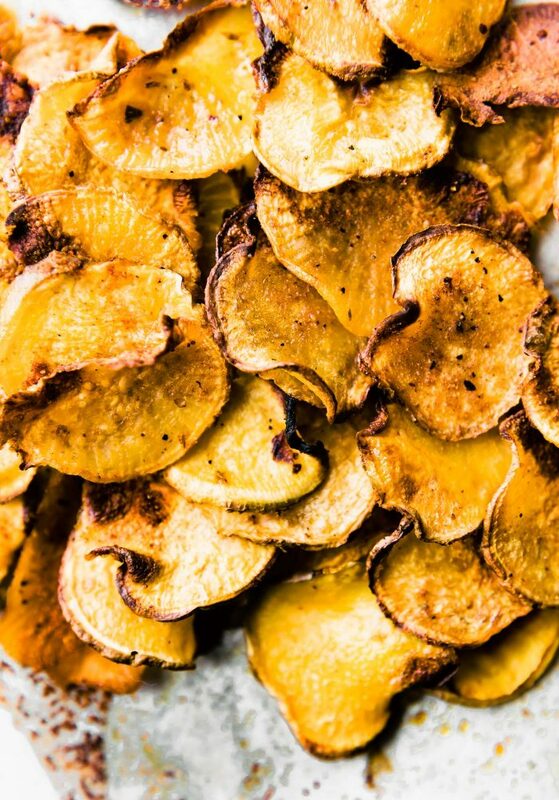 But you’re making these chips look incredible! I love rutabaga! It’s totally underrated. These look like the perfect thing to snack on. I MUST make these! How inventive! I always see rutabaga at the store and now I am definitely going to buy it! Best snack ever!! Can’t wait to make these! My inner food nerd thinks your inner food nerd is the BEST! We’ve not got rutabagas here in the UK. Just turnip. But I’m gonna do these with parsnips. We’ve had a pretty cold winter and the colder the winter the sweeter the parsnip. So they should be perfect. Turnips work too! And parsnips! Or come visit and I’ll get you some rutabaga. Haha! OMGeee… I do this with parsnips and I hoard, read HOARD them because they shrink down SO much! OMGeee the farm has soome rutabaga… I’m going to gram em! Thanks love! OH yay! Let’s have a snack party! OMG HOARD away those parsnips. I’m coming! Hehe. What an awesome idea, so glad you brought these back again! 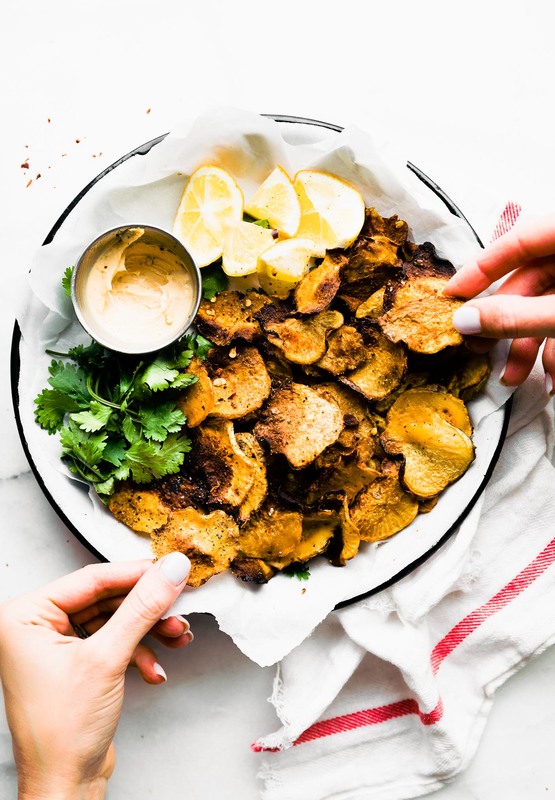 Already you have me wanting to have you sell these as a new item on the chip aisle; seriously why haven’t we done BBQ Rutabaga chips? The very first time I tried rutabagas was roasted in England, and I fell in love. I don’t know what has held me back from doing them since then. I need to write it down. Oh we should! Let’s get these in the market! haha, i love it Em! Definitely trying these soon. What’s that dip in the picture for the chips? Looks delish! I actually just mixed a little paleo mayo with chipotle seasoning and tabasco. Hehe. SOOO GOOD! 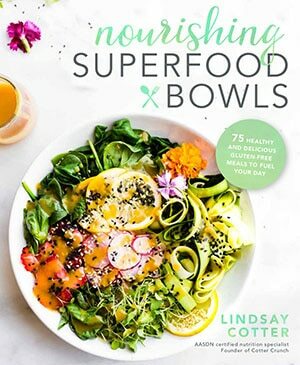 Love this idea Lindsay! The lonely rutabaga does deserve a little love. How often we pass up this veggie at the market as the usual cooking preparation of this vegetable is so boring , but making them into chips is brilliant. Wishing you a super 2019!